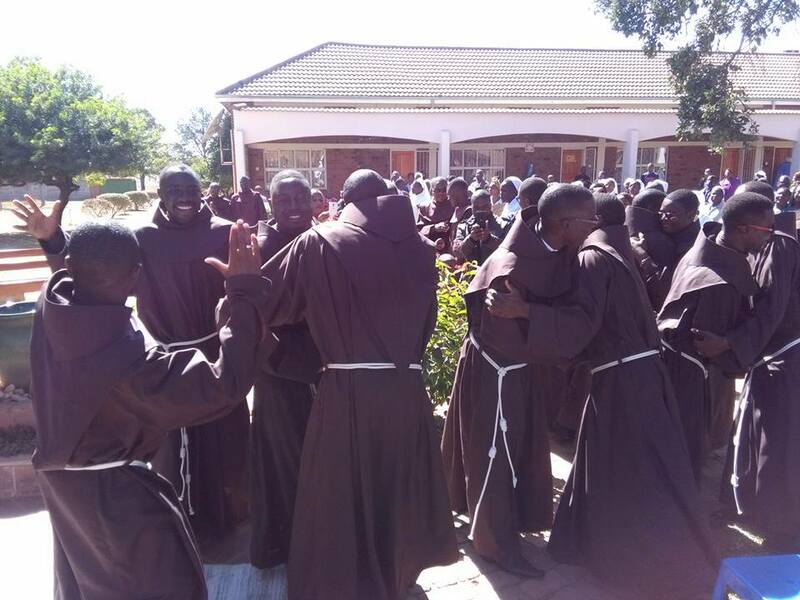 There was great joy in the Franciscan house in Tafara, Harare on Saturday 2 July when ten novices made their First Profession of Vows after completing their novitiate year in South Africa. A large crowd of friars, families and friends celebrated the happy occasion. 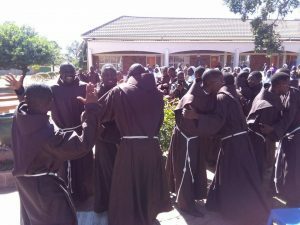 The newly professed had spent their postulancy period at Assisi Mission in Zimbabwe where they began their Franciscan journey. They will now go to St Bonaventure College, Lusaka, in Zambia to continue their studies. Many joined in the celebration. 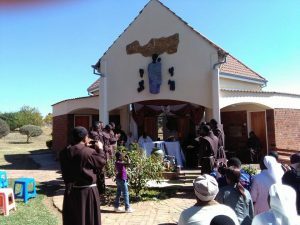 The ten friars are from all over the southern African country where the Irish friars established a missionary presence in 1958. Now formed into the Custody of the Good Shepherd, the connection still remains strong with their ‘mother’ Province. 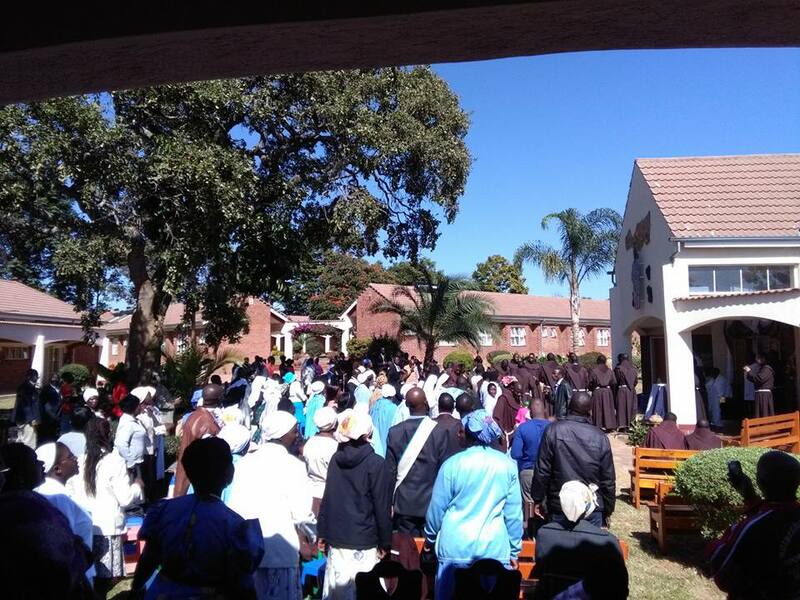 Zimbabwe continues to be an official mission of the Irish Franciscan Province. As with most of the countries in the area Zimbabwe is experiencing a severe drought this year that is adding to the hardships of an already suffering people. We ask for your prayers for these ten young men as they continue to discern their vocation to the Franciscan way of life. The newly professed friars share their joy.